A heather style duffle bag that you won't want to put down! 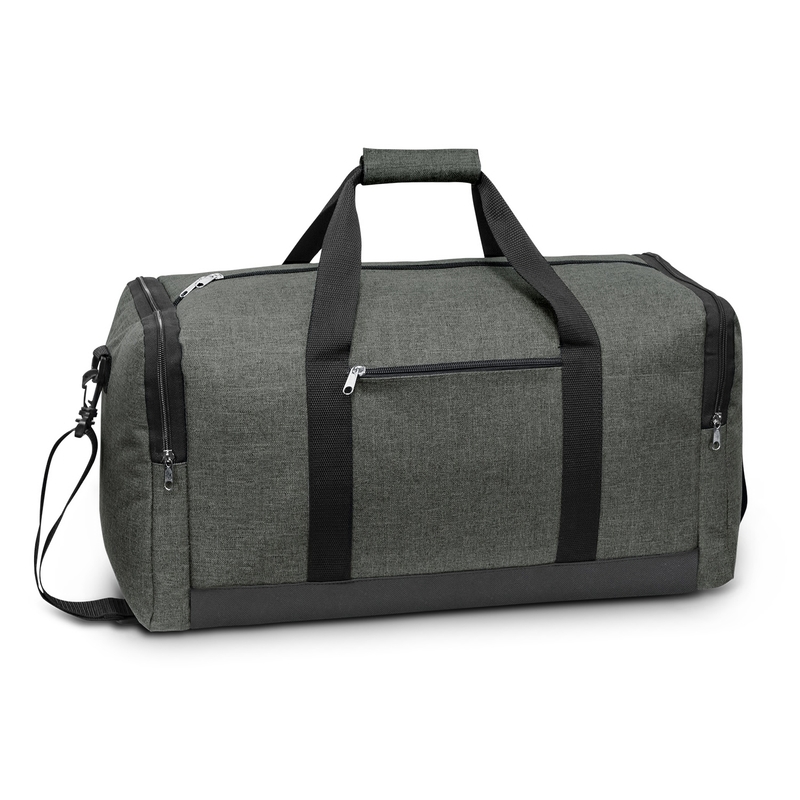 Enhance your next trip away with some of these fashionable "heather style" duffle bags. They're made using a poly-canvas that has been woven with different coloured fibres to create a two tone look. These bags have an excellent decoration area to showcase your logo or branding message and have many features: woven carry handles, Velcro cuff, adjustable woven shoulder strap (removable), 2 zippered end pockets, 600D polyester base, zippered side pocket.